With around 60 accounting schools available, Missouri presents you with a wide range of choices if you wish to study for an accounting degree. Programs on offer range from certificates to doctoral degrees and 3 universities are rated among the best 100 in the country by US News. The accounting program at the University of Missouri’s Trulaske College of Business was awarded 11th place nationwide by the Public Accounting Report’s 2013 survey of accounting professors. Other prestigious options include the Washington University in St. Louis and St. Louis University, both rated highly by US News and Businessweek. As a prospective accountant, you have great opportunities to hit the ground running by studying in Missouri. A successful accounting career starts with a solid education involving both advanced theoretical knowledge and practical experience. It is no wonder that many shy away from the challenges and responsibilities that accountants face routinely in their profession. However, there are as many rewards as there are difficulties on this path, and you will find that a good accounting program will go a long way in helping you succeed. You should first make sure that the program you choose is AACBS-accredited and that it will offer you the possibility to sit for the CPA exam if you wish to do so. Apart from national rankings, try to look at other indicators of the program’s quality, such as student evaluations, CPA exam pass rates and faculty credentials. A good accounting program will also be employability-focused, with strong student organizations, opportunities for internships, field study and networking, as well as good graduate employment rates. Find out which accounting firms tend to recruit graduates of that specific program, as one day they may become your employers. Finally, remember that an easy program will not help you succeed as an accountant. Look for the most challenging, rigorous and prestigious accounting program and you will find that you don’t have to wait until you graduate – your accounting career can start right now! Accountants are well-known for being meticulous and analytic, but to succeed in the field you’ll need much more than that. In a changing economy, accountants need more and more leadership and decision-making skills, business savvy and experience. Add to that the advanced technical competence that the profession requires, and you’ll know why good accountants are always in demand. There is no shortcut to becoming an accountant: you will need a minimum of a four-year university degree in a relevant field, and if you wish to become a Certified Public Accountant (CPA), the bar is even higher. You will have to complete 150 semester hours, pass the challenging CPA examination and acquire at least one year of experience before you can apply for a CPA license. Depending on your state’s regulations, you might also need to complete an ethics course or pass an ethics examination. 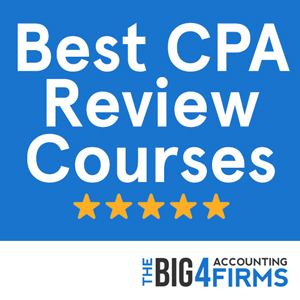 While the road to becoming a CPA is not easy, holding a CPA license will broaden your choice of highly compensated positions in different sectors. As demand for qualified public accountants keeps growing, you may find that it is worth going the extra mile to become a CPA. In order to sit for the CPA exam in Missouri, you need to have completed 150 credits of college education including a baccalaureate or higher degree with an accounting concentration. This has to include at least 18 semester hours in accounting and 18 hours in related courses such as business, finance, marketing and others. 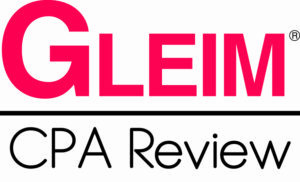 Candidates for a CPA license are required to pass all sections of the CPA examination, to pass the AICPA ethics examination with a score of at least 90%, and to acquire one year or 2,000 hours of accounting experience. Moreover, if more than 5 years have elapsed since you passed the CPA exam, you will have to complete a further 40 hours in continuing professional education courses to be eligible for licensure. Missouri accountants earn salaries matching the national average, with an annual mean wage of $65,140 in 2013. It is however worth noting that variations in pay can be huge in this profession, with salaries ranging from $33,000 to $105,000 in Missouri. Pay levels also tend to vary regionally and metropolitan areas show significant increases in accounting salaries. In Missouri, the mean annual salary for accountants can reach $73,480 in the St. Louis area. Missouri does not rise about average in terms of accounting employment levels either, although opportunities are improving in thriving business areas such as Kansas City and St. Louis. Variation is a hallmark of this profession when it comes to both salaries and opportunities for employment: an accounting background allows you to choose from a wide range of career paths with different possibilities for success. 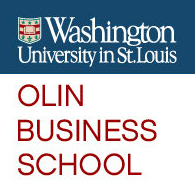 The AACBS-accredited Olin Business School at Washington University in St. Louis boasts a prestigious accounting program with an advanced curriculum and excellent results. Rated as the 22nd best business school in the country, the school offers an undergraduate degree in Business Administration and a first-rate 33-credit Master of Accounting degree. The Master of Accounting program can be completed in two or three semesters and features an innovative curriculum. Courses such as Accounting Policy and Research equip students with critical thinking skills and an in-depth understanding of the field. Moreover, through applied learning, networking and extracurricular entrepreneurship activities, the program ensures that students are prepared to make a real impact in their careers. What is more, statistics recommend the Olin Business School as highly effective both at the academic and professional level: with a CPA exam pass rate of approximately 80% in 2013 and an employment rate of 95% for Master of Accounting graduates, the program ranks among the very best in the country. The University of Missouri Columbia’s accounting program was rated as 11th best at both the undergraduate and graduate levels and 3rd best in the medium-sized institution category by the 2013 PAR survey. The school’s Robert J. Trulaske, Sr. College of Business is also ranked as the 58th best business school in the country by US News. This prestigious and AACBS-accredited school has received numerous awards for its rigorous accounting program. Accounting students can choose between an undergraduate degree, a Master’s degree and a PhD program. In addition to the traditional 120-credit undergraduate degree, the Trulaske College offers a combined 150-credit degree that includes both the Bachelor of Science and Master of Accountancy degrees. With a comprehensive technical curriculum and strict admission criteria, the program also boasts opportunities for real-world experience in and outside the classroom. Students can participate in internships, study abroad programs, student organizations and business case competitions judged by leaders in the field. With an employment rate of 88% and starting salaries in accounting and finance averaging at $67,730, higher than the usual starting salary for this profession, Trulaske College can give you the edge you need to succeed in your accounting career.